The Fitz Like A Glove™ Cover Glams It Up! The Travel Bug Shoe Bag. Places To Visit. The Fitz Like A Glove Ironing Board Cover. Ironing And Beyond. The Log Lugger. Fireplace Care. Facts About Firewood. Gadgets. The Roadworks Apron. Kitchen. Garden. Home. Mr Chin’s Laundry Bag. Garment Care. Laundry Dos and Don’ts. The Travel Bug Shoe Bag. Travelling. And Beyond. Sweet Shoo Fragrant Sachets. The Power Of Fragrance. Postage And Australia Post. Read This Before Placing An Order. What’s New On The Website! Welcome to our rural based business. It’s a delight to have you pay us a visit. Your participation in our rural business is a dream come true. One of the highlights of our life. This page is our chance to give back. It’s a chance for us to help you answer some of those ‘how to’ questions that pop up. But rarely take the time to answer. Enjoy surfing The Centres of Learning. Just What Do You Do With Your Wood Ash? Come Spring. This Is How To Use Your Wood Ash. How To Store Wood Ash. What NOT To Use It On. How To Use It Successfully. On Many Things. 8 Easy Ways To Use Wood Ash. Including An Ash Bath For Birds. There’s Good Ash. And Bad Ash. What Ash Not To Use. Ever. Firewood Association Of Australia, Inc. List Of Authorised Firewood Merchants. Courtesy of Firewood Association Of Australia, Inc. The Why. And How To. In Cleaning Chimneys. Stove Efficiency. And Wood Storage. Sheds. Built By Blokes. 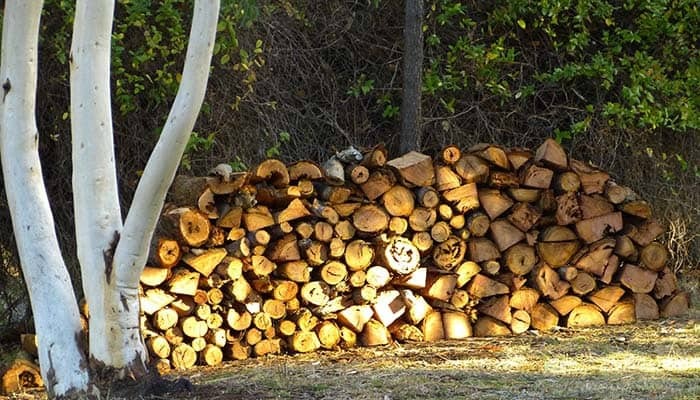 To Store Firewood. Video Courtesy of jyienger. This shed is built by one guy. With just simple DIY skills. This page is curated by me, Carol Jones. No links on this page are paid to be here by a third party. Nor do I accept sponsorship for what I post. I choose articles that I think you will find valuable to read. And which will inform you. Enjoy! Want to visit the Log Lugger page? Click here. The Fitz Like A Glove™ Ironing Board Cover And Other Goodies website is protected from hackers by a Security Certificate from Comodo. Whatever page you land on. Whatever form you fill out. Hackers cannot steal your identity. Or your information. Enjoy the feeling of safety when browsing. G'day visitors to our website. On October 1st 2018, Australia Post increased their parcel rates for all parcels by an average 3.85%. As we make no profit on our postage rate, we have had to increase our flat rate postage charge from $16.50 to $16.95 per parcel. This is a 2.7% increase. This applies to all parcels regardless of how many items you put in your parcel. And applies to all destinations Australia wide. As a rural business, I am totally dependent on Australia Post. There are no couriers that come to my remote rural property. Australia Post is not offering a better service for this increase. It would help all of us if you could voice your disapproval to the management at Australia Post. We live and work from our remote rural property in the picturesque foothills of the Victorian Alps. Therefore all parcels are despatched via Australia Post. Our post office is in a remote location. So we post parcels once a week. We hope you understand how the tyranny of distance affects a business that is in a remote, rural location. For our international customers, please check with Customs in your country to see if they impose extra charges on your parcel once it enters your country. This is especially relevant to those of you who reside in the UK. Live & work in the High Country at the foothills of the Victorian Alps. In the picturesque East Gippsland of Victoria.